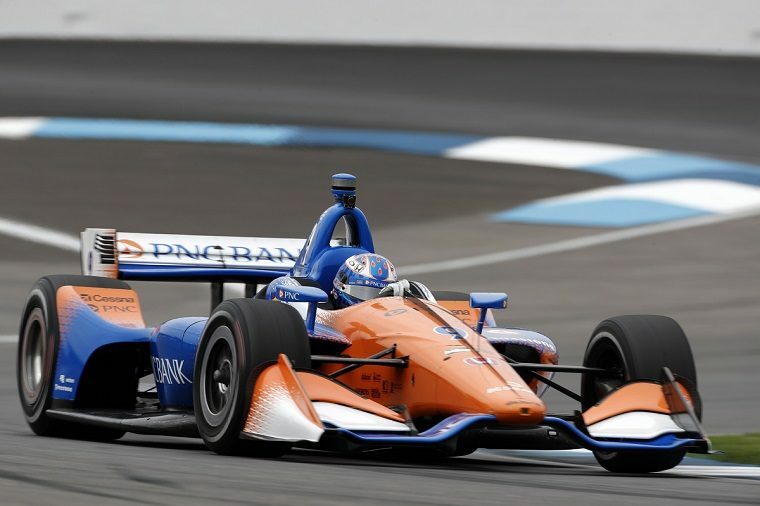 After a disappointing qualifying on Friday, Scott Dixon and the Honda-powered Chip Ganassi Racing team rebounded to score a strong second-place finish at the INDYCAR Grand Prix held at the road course within the Indianapolis Motor Speedway. With his tires having lost heat, Dixon had only managed to qualify 18th during his qualifying runs, but within the first lap of the race alone had successfully made up four places. By the 30th lap he was already sixth, after the mid-portion of the race he was fourth, and by the end he was second, with the help of quick pit stop by the team. He ultimately finished just behind Will Power, pushing him up to fourth place in the driver’s championship after five of 17 races. Other Honda drivers also had a good weekend: Robert Wickens continued to impress on his rookie season with a third-place finish and Sebastian Bourdais, who was running in the top three for the first 55 laps, finished fourth, with Alexander Rossi behind him. Rossi is now second in the championship with just two points separating him from the leader, and Bourdais is third. Josef Newgarden, currently at the top of the standings, lost a good chunk of his lead by finishing only 11th.